How does Zonal Statistics work exactly? I'm a bit confused on how the zonal statistics tools work in QGIS (either the 'Zonal Statistics' tool under the Raster tools from the QGIS geoalgorithms toolbox or the 'Raster statistics from polygons' tool under the SAGA Vector<->Raster tools). Basically I have a raster map layer and some small polygons in a separate layer. I want to assign each polygon the value of the raster below. In case a polygon overlaps multiple raster cells, I just want to have the maximum. Any ideas what I'm doing wrong or what I didn't consider yet? The results with the python API in qgis.analysis.QgsZonalStatistics() (according to this question here) are much better, but it does only offer count, mean and sum...but for some reason no max or min. In short, this approach with QGIS, as far as I'm aware is not possible to view the raster pixel maximum as a result. Only the count, mean and sum. I've provided some resources that covers this. 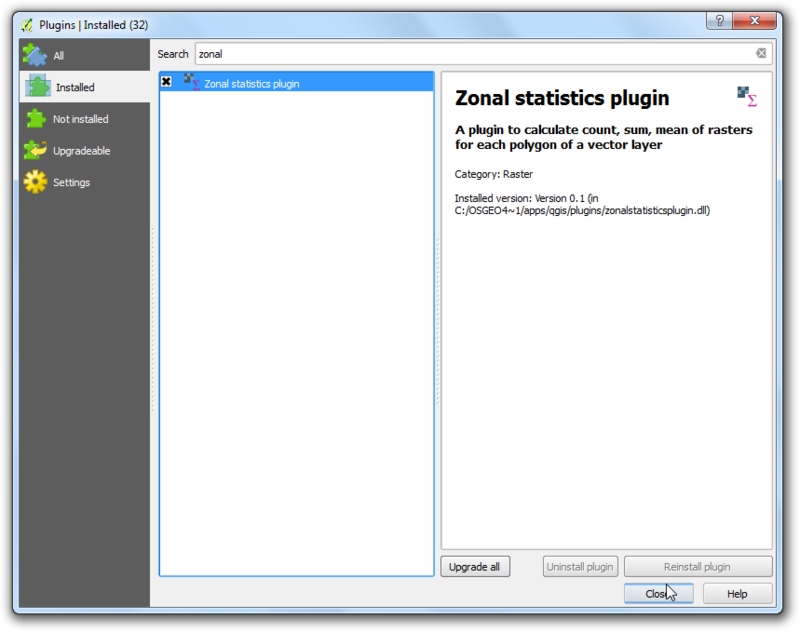 With the icon_zonal_statistics Zonal statistics plugin, you can analyze the results of a thematic classification. 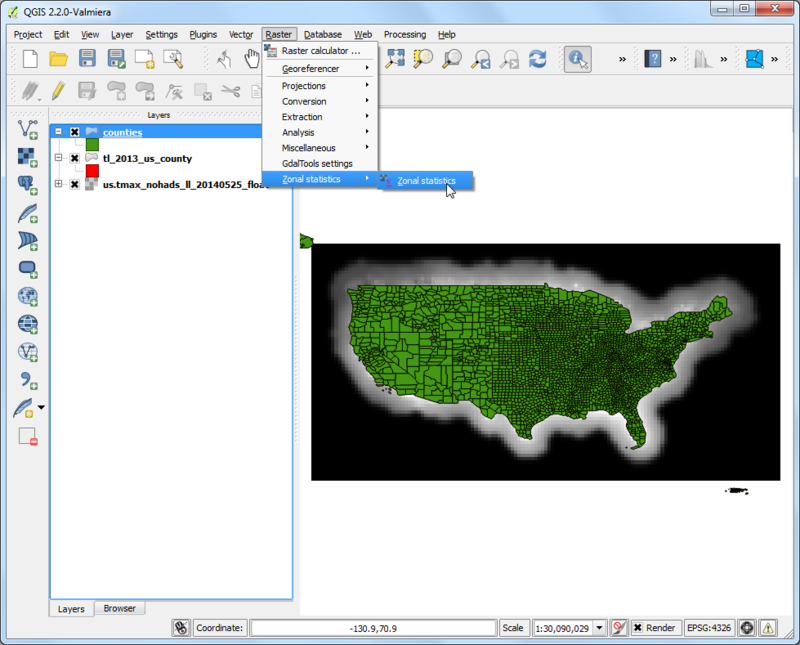 It allows you to calculate several values of the pixels of a raster layer with the help of a polygonal vector layer (see figure_zonal_statistics). You can calculate the sum, the mean value and the total count of the pixels that are within a polygon. The plugin generates output columns in the vector layer with a user-defined prefix. 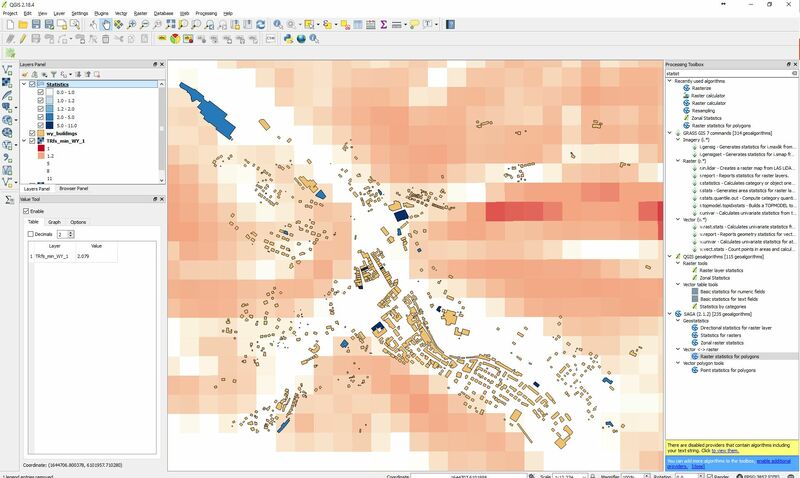 Also, this QGIS Tutorial Sampling Raster Data using Points or Polygons provides a sample data to achieve zonal statistics return. I've included screenshot they provide as a example of their workflow and results. 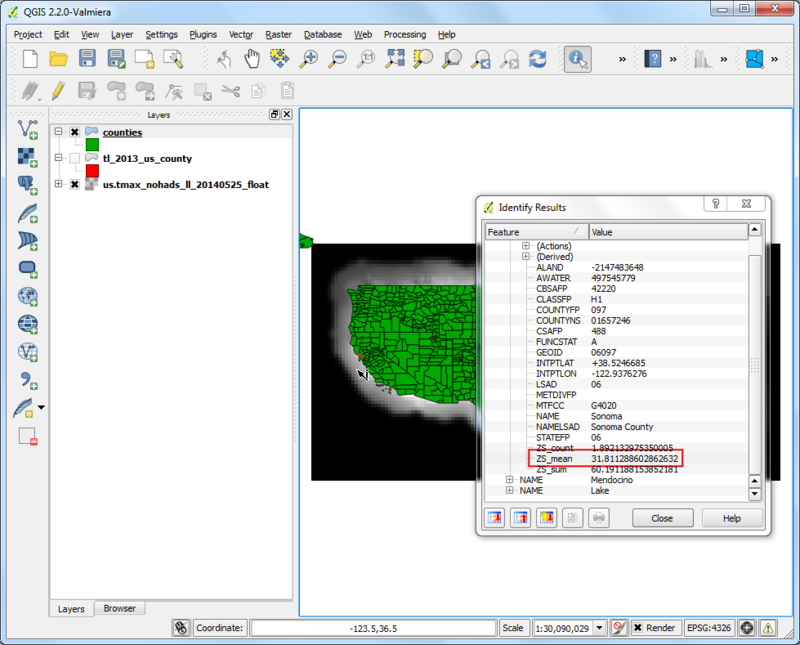 Once the processing finishes, select the counties layer. Use the Identify tool and click on any county polygon. You will see three new attributes added to the layer: ZS_count, ZS_mean and ZS_sum. These attributes contain the count of raster pixels, mean of raster pixel values and sum of raster pixel values respectively. Since we are interested in average temperature, the ZS_mean field will be the one to use. Not the answer you're looking for? 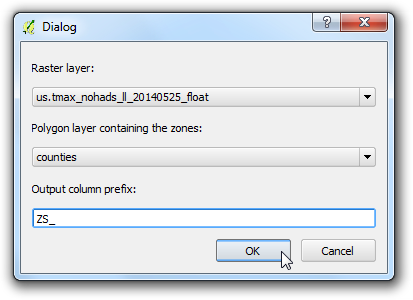 Browse other questions tagged qgis raster layers saga zonal-statistics or ask your own question. How does QGIS Zonal Statistics handle partially overlapping pixels? Calculating first quartile of a raster by zonal statistics? How to display min and max pixel from Zonal Statistics?